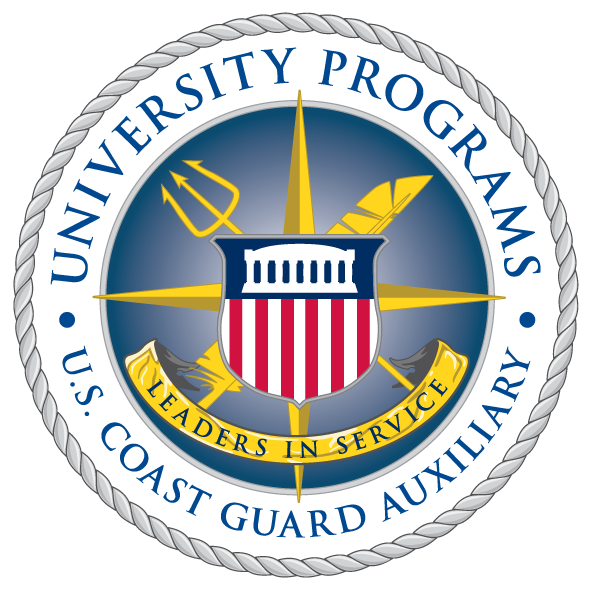 The University Programs Branch is working with Flotilla 085-33-04 to offer the Auxiliary Communications (AUXCOM) specialty course to our students via the Internet. This opportunity to earn the AUXCOM qualification is open to all students and instructors; those interested should sign up via the registration form listed below, and work directly with the instructors to resolve any issues or concerns. To register, click here. Please note this course begins 31 August 2010. You are invited to take the AuxCom course over the internet from the comfort of your home. The entire presentation of the class will be via the Internet utilizing webinars and a class grouphub. The webinars will be led by two instructors making use of video, live audio/chat, cameras and other presentation materials. Each webinar will last approximately 90 minutes. The class grouphub is an interactive web site that will allow students to post questions and discuss problems, obtain helpful links and ancillary material, and get communication from the instructors. Learn more about the course by browsing the syllabus. Enroll electronically by following the instructions on the registration document. The sessions are August 31 through September 30. More information on the AUXCOM specialty course can be found through the USCG Auxiliary Training Department here.